Normally, when I feature a Dream Chaser, it's as a guest post and they tell how they're chasing their dreams. 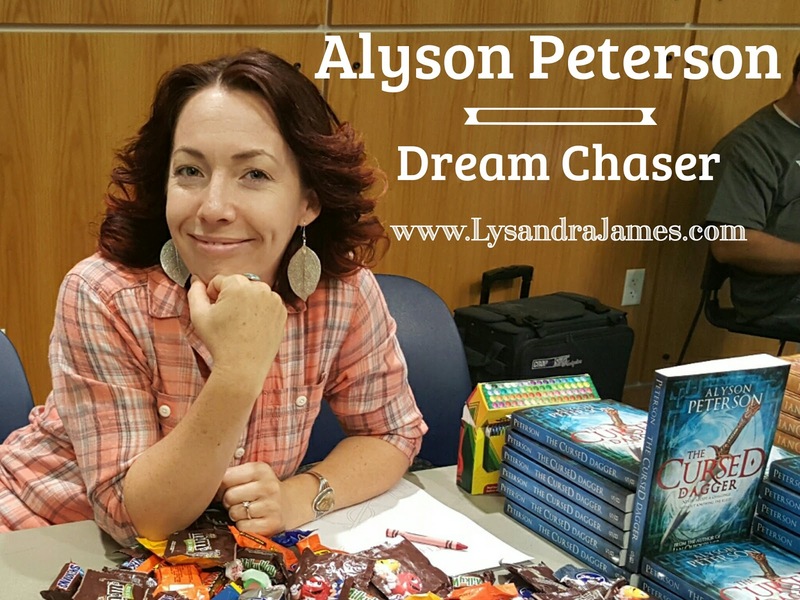 I met Alyson Peterson at my kids' school at the beginning of this year. She was promoting her first book - Ian Quicksilver: The Warrior's Return. We started talking and just never stopped. In fact, afterwards, I was talking to another friend who had been there and she asked how long Alyson and I have known each other. She was shocked to learn we had just met. That's how it is every time we get together. 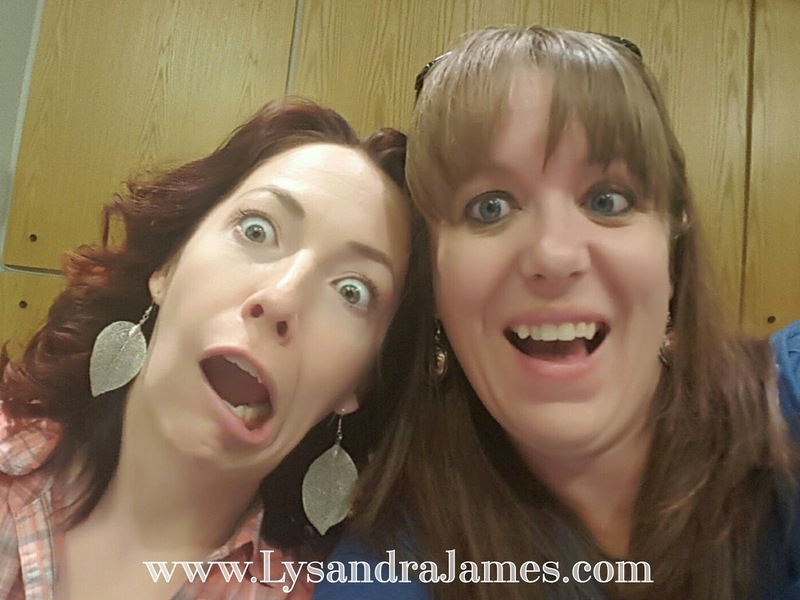 Chatting leads to joking which leads to goofing off which leads to rolling with laughter. We tend to rope others into our shenanigans as well. Because we're just that cool. Besides the whole "instant friends" thing, the thing I love most about Alyson is how fiercely strong she is. Not kidding. Yeah, a bad day may get her down for a bit, but she comes back fighting. Nothing keeps her down for long. She's also got my back, no matter what. So don't mess with me. I'll sic her on you. Seriously though, this girl is amazing. 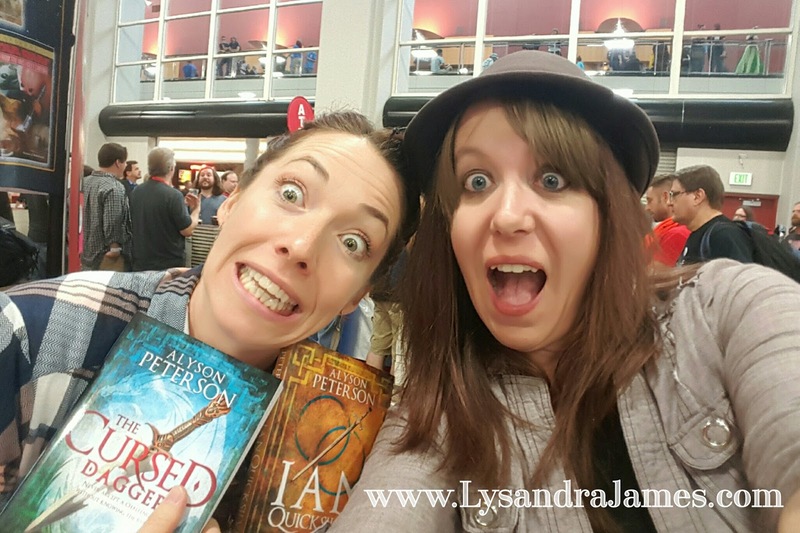 Not only does she write snarky YA fantasy with a uniquely Alysonian flair, she's also got a black belt in Taekwondo. In fact, at her book launch for The Cursed Dagger last month, she had an entire martial arts demonstration. Who does that? 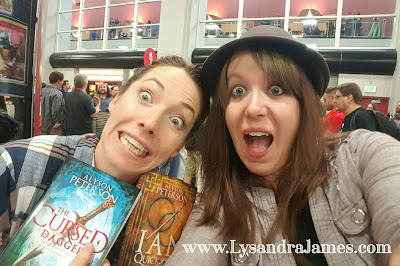 The two of us at the Salt Lake Comic Con last month. See? We ARE that cool. 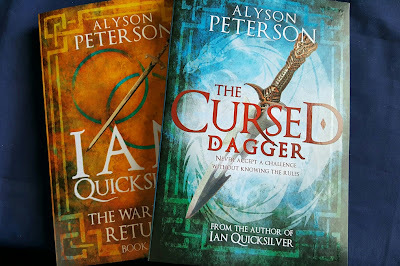 I had the privilege of reading The Cursed Dagger before it was released, but because of my surgery and such, I wasn't able to post about it until now. And I'm not just saying that because she's my friend. It really is good. Book two, The Cursed Dagger, followed on its predecessor's heels in a fantastic fashion. Even more sassy snarkiness, more intrigue, more Bob (though not as much as I would have liked...go Bob!). Throw in a wizard who's trying to prevent a curse from being broken, a cursed dagger, and a dragon and you've got a recipe for disaster. Yes. I loved it. Enough that I now own both books. Signed copies, of course. Rumor has it (meaning I got it from Alyson herself) that more will be coming. I don't know about you, but I'm excited to see what's in store for Bob. 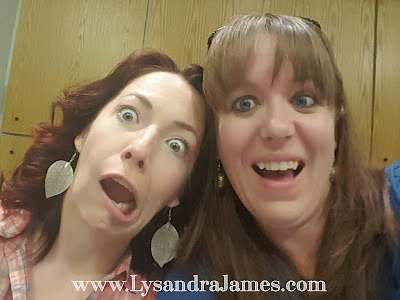 You can follow Alyson on Facebook and Twitter or check out her blog - Dirty Green Jello. 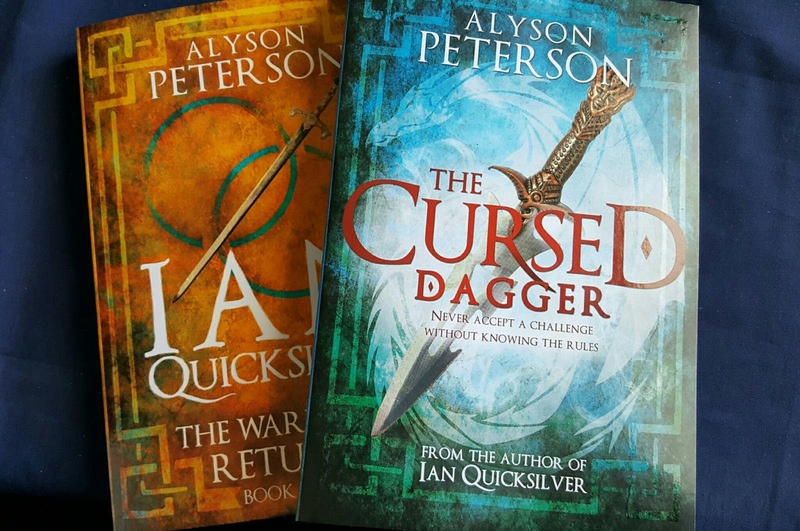 You can also purchase Ian Quicksilver: The Warrior's Return and The Cursed Dagger on Amazon in both paperback and Kindle formats.